This song has an interesting melody and can be played by a beginner at the piano. It also teaches the colors of Autumn leaves. 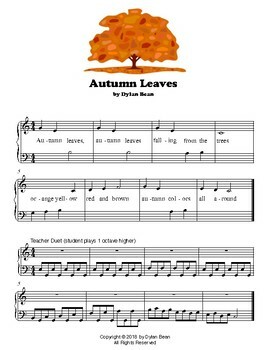 Combined with the teacher duet, this song evokes leaves falling and blowing in the wind.